What Makes Round Brilliant Cut Diamond Most Expensive? It’s not that every diamond is expensive. The price of a diamond depends on several factors, among which the four C’s of a diamond – diamond cut, diamond color, diamond carat and diamond clarity, influence the most. It is obvious to conclude that a flawless, well-proportioned stone, having brilliance in fire and perfection will cost more than a flawed gemstone of the same carat. These are the few factors that are apparently visible. But there are many, working indirectly, thus increasing and reducing the cost of a diamond. 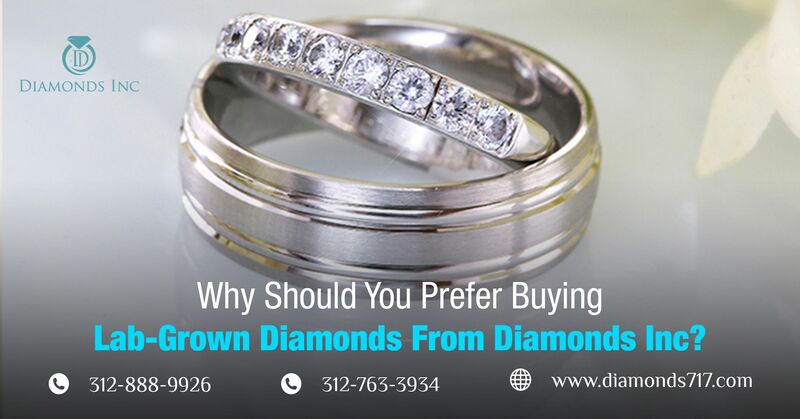 That is the reason why it is said – there are many ways to buy a diamond ring within budget, whether it is a custom jewelry from Chicago or ready-made collection. However, when the question appears – which diamond is the most expensive one? 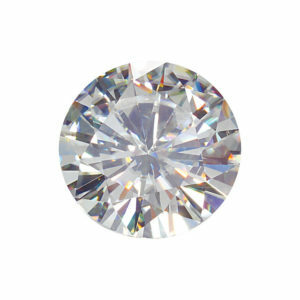 It doesn’t take a long time to put the answer ‘Round Brilliant cut diamond‘. Now the question is why? 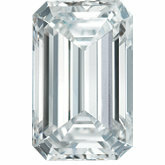 How this diamond differs from other gemstones. To explain this you will have to explore the different cuts of a natural gemstone with us. A brilliant cut diamond is known for its exclusive brilliance, which is, of course, the prime aspect that every buyer looks for in their gemstone. But what makes the diamond so brilliant? What is the reason behind its exceptional brightness? The reason lies in the way it has been dissected to give the shape. 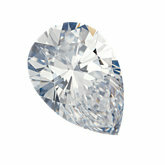 This particular diamond comes with numerous facets that result in its notable splendor. To be precise, there are almost 58 facets – 33 on the crown and 25 on the pavilion. However, there are also 32, 64, 80 or 96 facets present on the girdle, which are mainly excluded while counting the total facet. Often this particular shape of the gemstone causes an illusion of a cone or act like a prism causing intense emission and refraction of light through the top of the diamond resulting in spectacular sparkles. However, cutting such a stone contribute to major loss of the original rough stone compared to other styles of cutting. All these factors make it the most expensive diamond cut per carat. Yet, these have not affected the demand for the potential buyers. Well, now let’s stack up the rest of the cuts and discover why they secure the next positions after the brilliant cut diamonds. 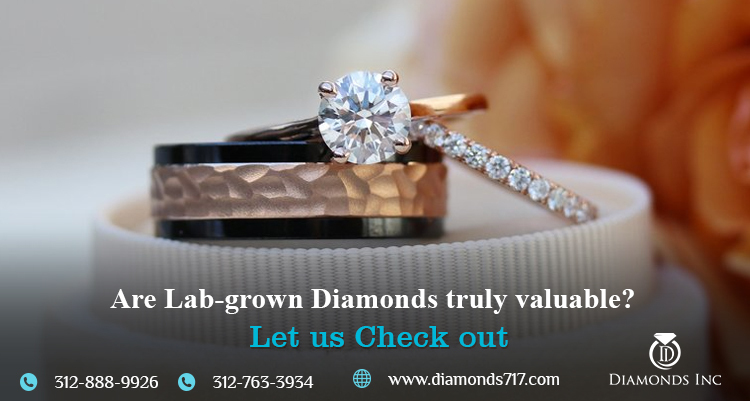 It is often found that one with a bit lower budget tends to rely on princess cut gemstones for their flawless fit, especially with traditional settings. This doesn’t mean that it is the cheapest, nor it means expensive. It just has a moderate rate. 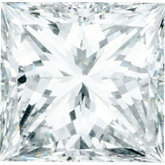 This particular cut emphasizes a symmetrical square that contributes to compressing the diamond value quite a little. This may involve a lower color grade but have the ability to mask the imperfections to a great extent. Since these natural gemstones carry most of the original rough diamond’s weight, their value fairly decreases from the price scale. 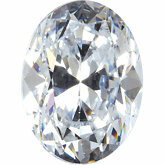 Most of you likely assume that the oval cut diamonds are similar to the round brilliant cut gemstones in all aspects. But this is where you all go wrong. Due to the oval elongated shape of the gemstone, this diamond cut doesn’t allow light to refract as precisely as in a round stone. It may resemble a large stone but the degree of its brightness is quite less when compared to the expensive round stone. Therefore, the oval shaped gemstone can be the perfect choice for those who look for a larger stone and along with good brightness. However, lower grade results in lower popularity which in turn influence the price rate. 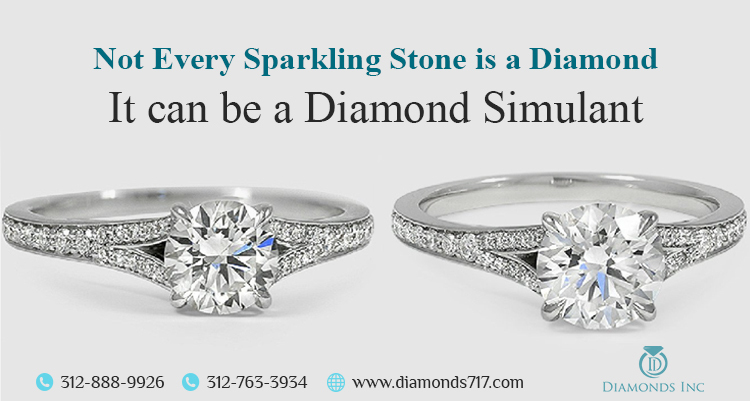 It is not that only a round brilliant cut diamond ring has the ability to exude light a lot. You may get the same from the radiant cut natural stones as well. Due to the presence of 70 facets, this specific diamond type comes up with both the fire of round cut stone and emerald cut stone. Then where the difference lies? The difference lies in its radiating power. The facets may allow vibrant shine and fire, but the cut also gives the evidence of a lower color grade. On this account, these gemstones possess a lower price rate as compared to other aforesaid cuts of the same carat. Not every diamond store allows its customers to witness different fancy shapes. But this is not the case with the Jewelers Row. Have you ever been to Chicago Jewelers Row? If yes, then you can figure out what we exactly trying to say. Now, coming back to these cuts, all these are exclusive fancy cuts that come up with more pocket-friendly quotations. Marquise and Pear shaped stones appear in elongated versions with an assurance of a proper ratio between the stone’s length and width. These have an added advantage for the buyers who want their fingers to appear thinner. 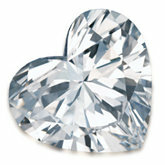 Heart-shaped diamonds appear larger both in size and carat than other cuts, just because to make the curves completely visible. Consequently, it amplifies the value of the gemstone – but obviously not as much as the round cut stones. Want an antique allure on your engagement ring at a comparatively lower price rate? Why not you try out these Vintage cuts? Cushion cuts also known as pillow cuts used to come up with step facets rather than brilliant cut that is used today. Such a cut can be preferred if you want a true vintage inspiration. Emerald and Asscher cuts serve a sophisticated look. They may not be as brilliant as the above-mentioned cuts but are often used in vintage-inspired engagement rings. Well, now if you ask – what is the cheapest diamond cut? Then can be the possible reaction. 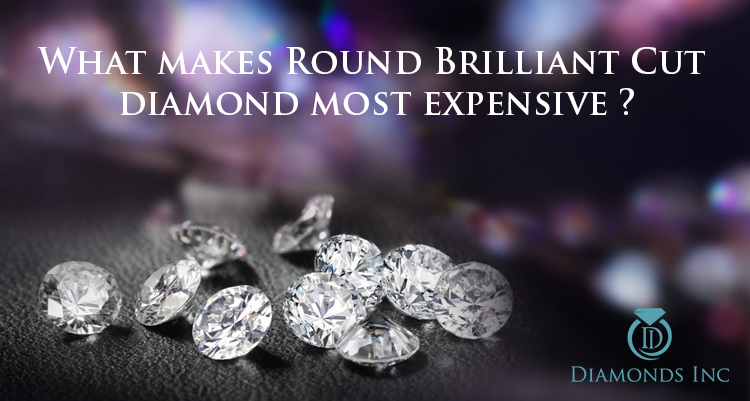 Hope now you have figured out the factors – why are round diamonds most expensive? These round cut gemstones are not only gaining its popularity but also hiking in price, with an aim to kiss the sky one day. It is a common desire for most of the brides to have a round brilliant cut gemstone for their engagement rings. However, there are many who end up to trim their desire and feel satisfied with other brilliant cuts. Feeling confused while making your timeless purchase? Explore our blog on different diamond shapes. This will guide you to choose the perfect one. Chicago diamond district is a myriad of timeless treasure with self-made elegant designs and patterns. You may visit this landmark, explore the collections and purchase one or more to have a standout style.